The SECOND Chicago Kizomba Festival will be held March 23rd - 26th at the beautiful Hilton Rosemont Hotel, home of Chicago's largest Latin Music and Dance Festival. 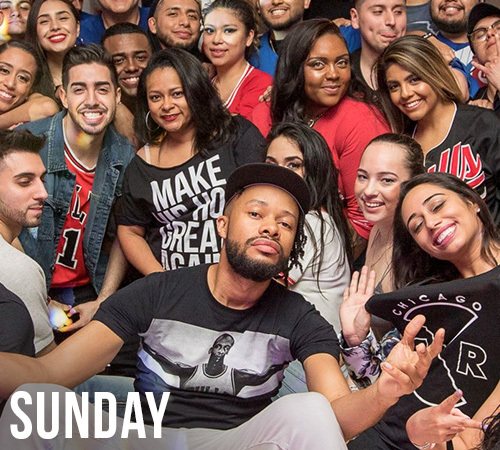 The CKF is a sister festival to the Chicago Salsa and Bachata festival which is a celebration of Latin culture through live music and dance attended by a diverse international audience. The World Salsa Summit is a salsa & Latin dance competition held in Miami every February at the Deauville Beach Resort. The competition was started in 2013 by Billy Fajardo along with Katie Marlow and Nelson Flores. The competition runs for four days from Thursday to Sunday, and features nearly 70 categories for competitors, in genres including salsa, bachata, cha cha cha, merengue, samba, and Latin hustle. The competition features divisions for dancers of different levels, including Novice, Amateur, Rising Star (semi-pro), Professional, and Pro-Am.